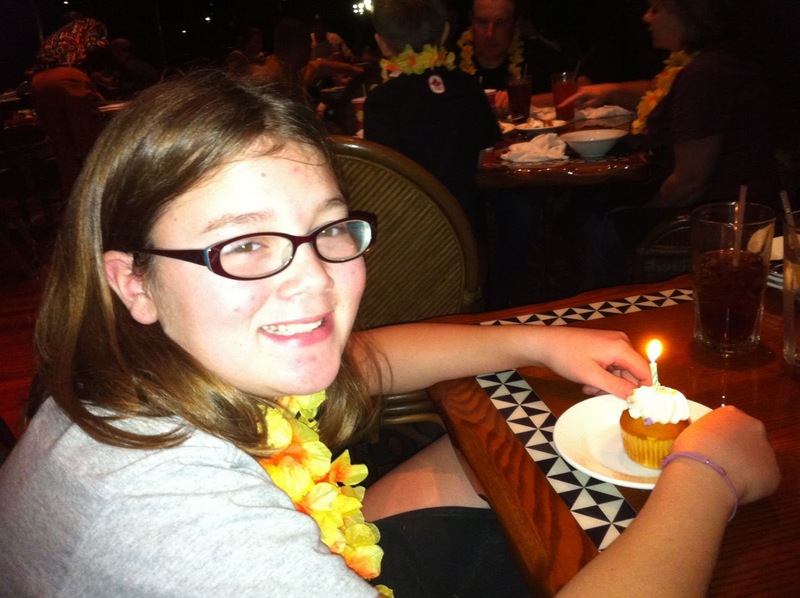 Kaitlyn got to wear a birthday pin while we were on our trip to Disney. So everywhere we went people told her Happy Birthday. 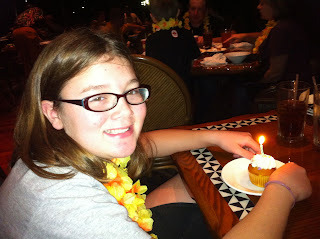 It was really fun for her and she counted how many birthday wishes she got the entire trip. It was close to 100. 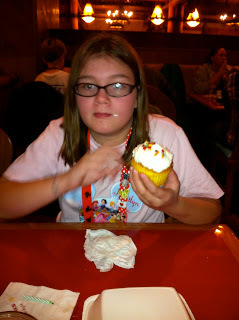 She also got a cupcake at every restaurant we ate at. There is also a hilarious video of the server singing happy birthday to her at Whispering Canyon that I will upload later.